My masterpiece a few weeks ago! 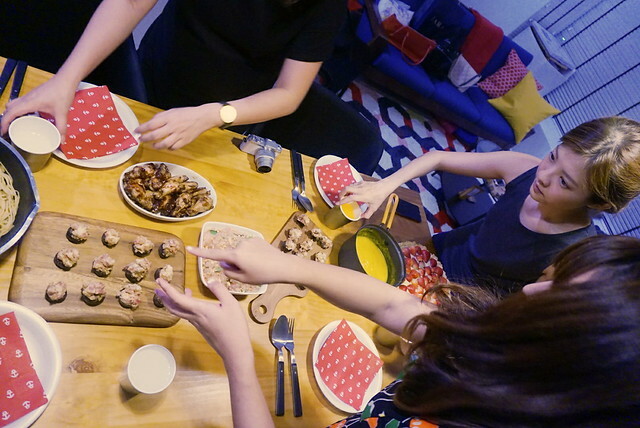 The Competitive Aunties had a girls only potluck dinner at Bobo’s place a couple of weeks back. Each of us had one menu item to contribute and mine was dessert. They all damn kiasu asked me to make cake cos “it feels more like dessert” wtf what nonsense is this please hahahaha they just want me to make something difficult, being competitive hahaha. And I’ve never actually baked a cake before (cheesecake doesn’t count). Well suckers! I managed to find a cake-like recipe that actually turned out to be pretty easy to make. I don’t actually like cake so this recipe is even more win. Got the recipe off here and adapted it to suit myself. Some things to note! You can actually prepare the dough and the custard separately the day before serving. Refrigerate both and they can keep for 1-2 days. On the day itself, just put the dough into the pan, bake, let it chill then pour the custard in. Chill the whole thing until serving for max yumminess. For some reason, my custard was a bit lumpy wtf. Didn’t stir fast enough? 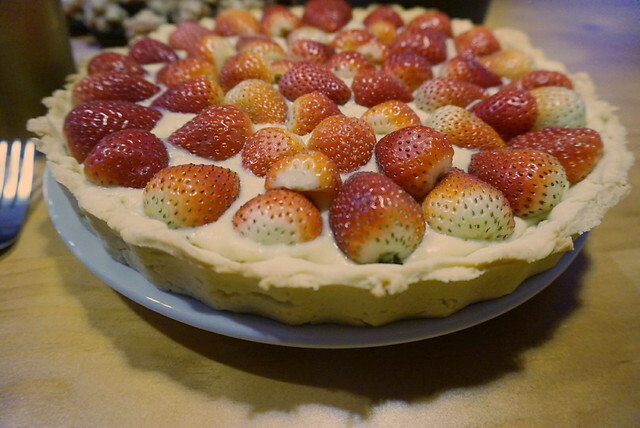 Anyway after chilling the tart, I didn’t notice any lumps so… CHILL ALL THE TARTS! Lol. I guess you could also sieve it too. 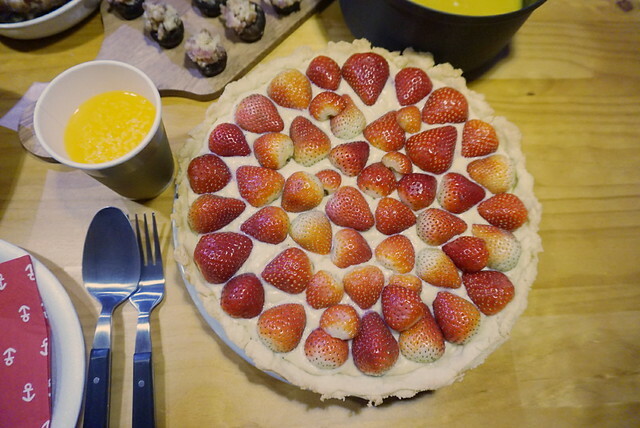 The last decorative step would be to glaze the strawberries. Simply mix strawberry jam with water, and paint the strawberries a nice shiny layer. I skipped this step because I was running late. Nah another show-offy picture hahaha. Very pleased with my first attempt! And here’s us aunties taking plating very seriously. In order to achieve this photo! Everything looks so good omg take me baaaaack hahaha. 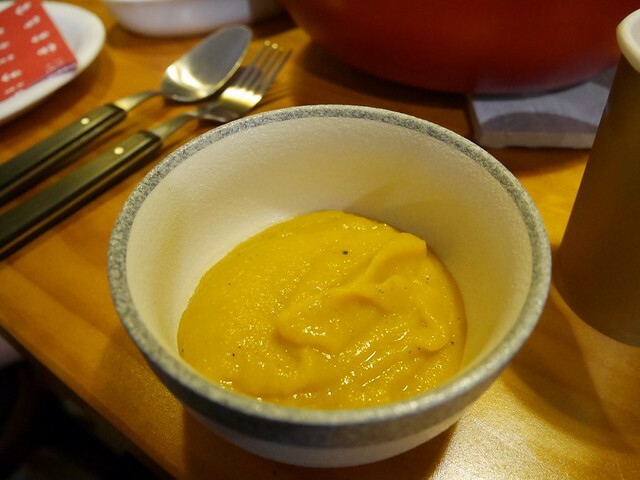 First is pumpkin soup made by Wei Zhi. It was thicker than normal and she said it’s like puree lolol but it was really good! Just the right amount of salt and pepper hahaha. 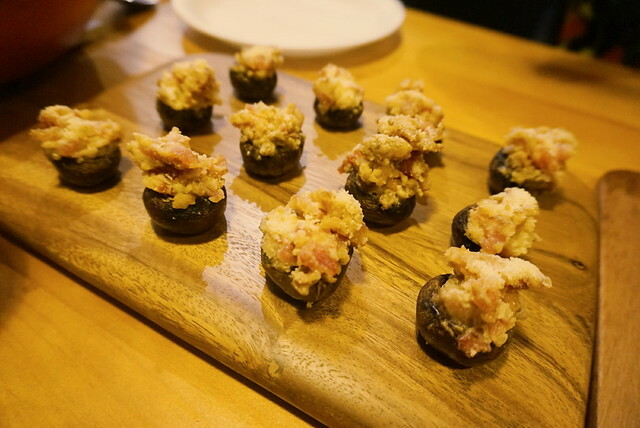 Then stuffed mushrooms with cheese and bacon by Hui Wen! This was too good la had to grip my own hands so I wouldn’t overeat and deprive the rest hahaha. Pomelo salad by Wei Zhi again! 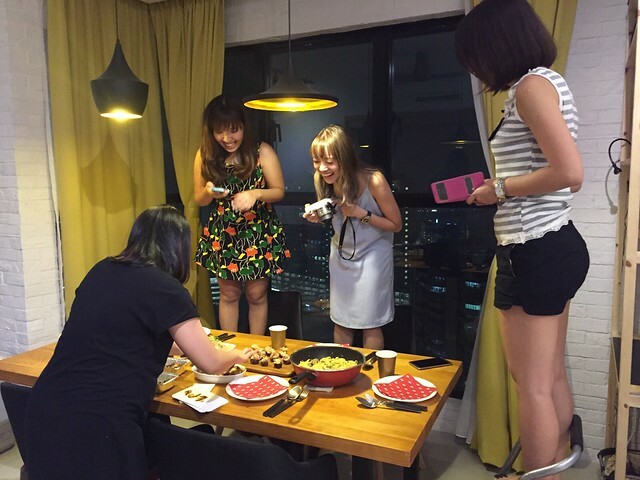 This food blogger really damn overachiever hahaha. I’ve never had it before and it’s quite nice! 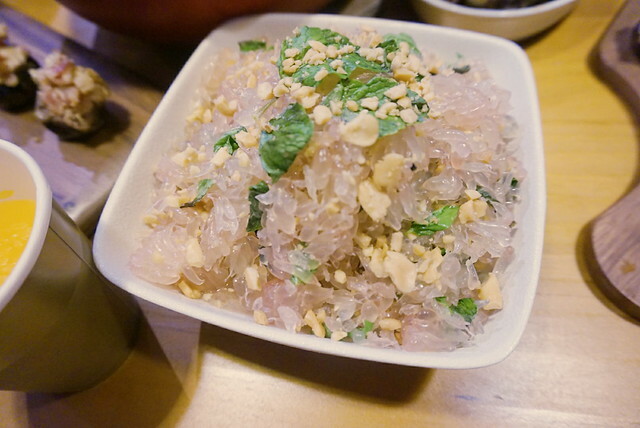 I think it was pomelo plus crushed nuts and mint? When I ate, all I can think of is how much work she had to put in to break up the pomelo pieces hahahaha. 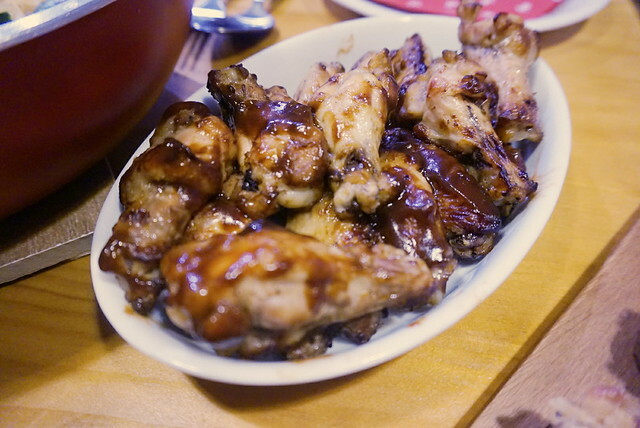 Chicken wings from Careen! We excused her from cooking cos she’s pregnant so she tapao-ed Dominos wings hahaha. Erm after you deliver we fully expect you to go back to the kitchen ok Careen WTF. 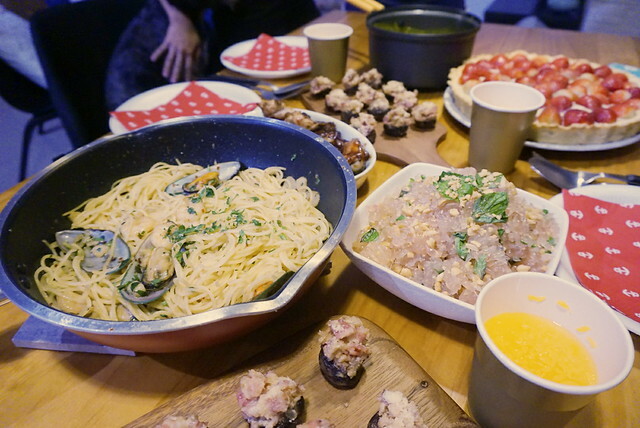 Main course of seafood aglio olio by Bobo! When she told us earlier she simply throw things inside I was like what is there to throw in – oil ah wtf. Cos aglio olio ma hahahaha. But she actually added tons of shrimp, mussels and scallops in and it was delicious! Oh yea this is the sacrifice behind the scenes to take nice flatlay pics hahahaha. OMG we damn loser and auntie-ish I cannot. 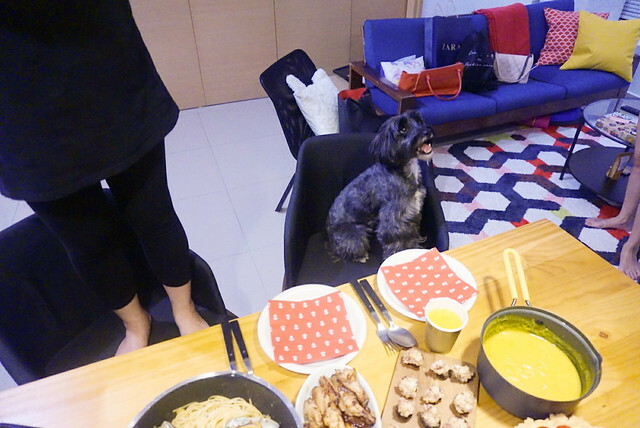 Stand on chairs until Bobo’s dog Nacho suddenly thought it was ok for him to get on the chair too hahahaha sorry ah we spoil your training Bo. 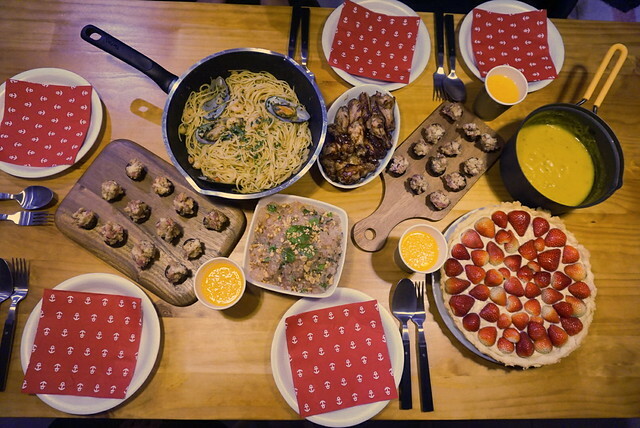 aaaaahhh, i wish i could get to the place where i live a tai-tai life and have awesomesauce dinner parties with friends, too! 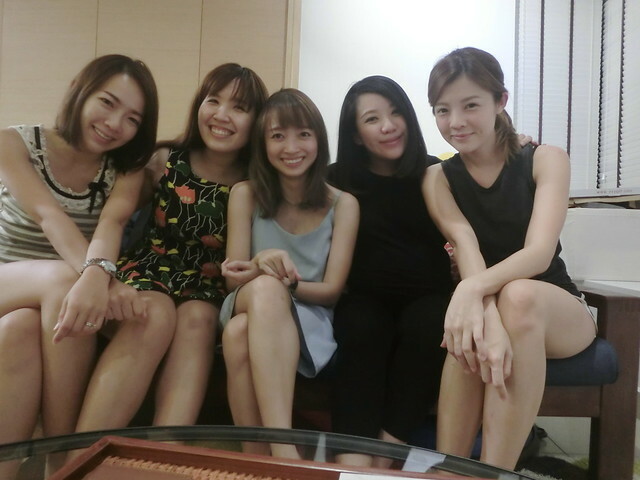 so nais <3 everybody looks darling as ever! not at all aunty-ish. like the colour of your dress. do you mind to share where did you got your dress from please? thank you.